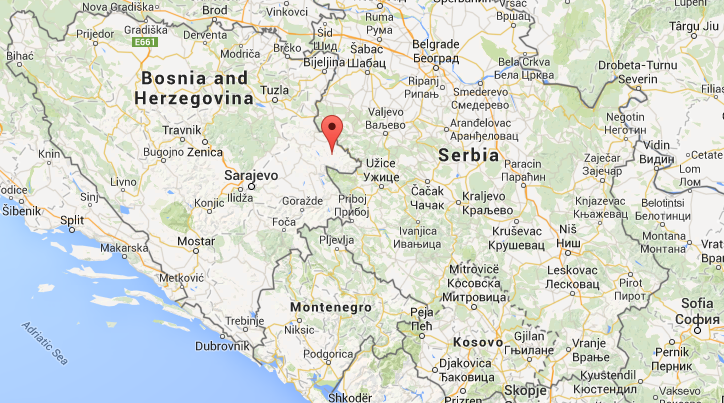 Srebrenica massacre arrests: Serbia charges eight. A 2014 funeral for 175 newly identified victims of the massacre. Serbia in the past has put on trial men who took a group of prisoners away from Srebrenica to be killed. And in 2011 it arrested Ratko Mladic — the warlord who masterminded the slaughter — and sent him to an international criminal court in The Hague, Netherlands. But Wednesday’s arrests are Serbia’s first attempt to bring to justice men who got their hands bloody in the killing machine known as the Srebrenica massacre. Srebrenica is located in what is now Bosnia-Herzegovina, and the prosecution is a landmark collaboration between authorities in the former enemy states. An AP source says Serbia is motivated to hold the killers responsible because the nation would like to join the European Union. Ejup Ganic, the wartime deputy president of Bosnia and now a university dean, said at least 850 Bosnian Serbs are estimated to have taken part in the Srebrenica massacre, of which nearly 150 are believed to be living in the United States, while the rest are in Serbia. One of the men arrested, commander Nedeljko Milidragovic, already faces charges in Bosnia, but Serbia and Bosnia do not have an extradition agreement.